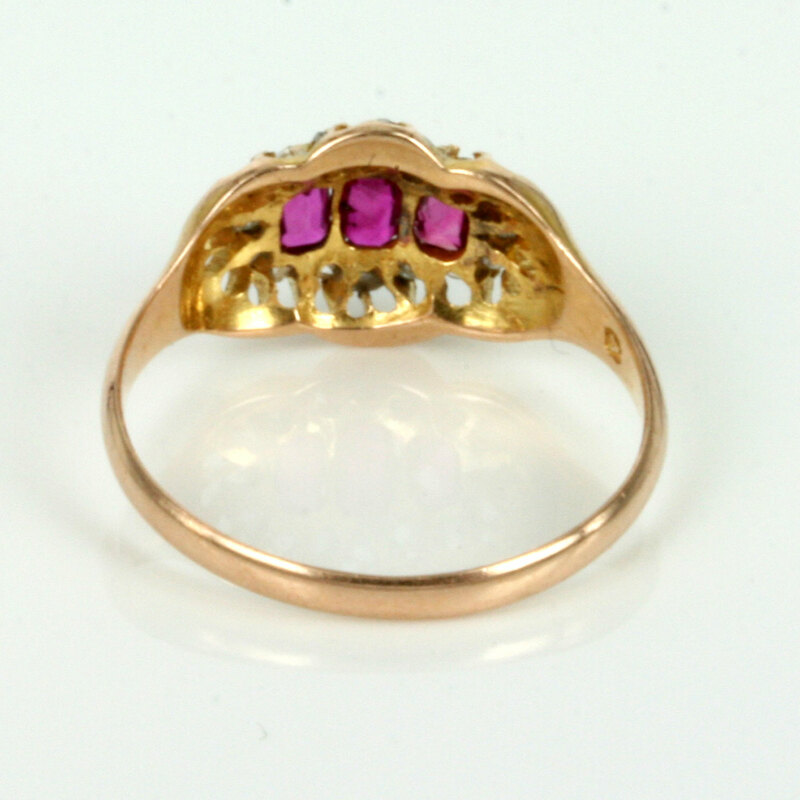 Product code: 1680 Categories: Sold Items, Sold Rings. 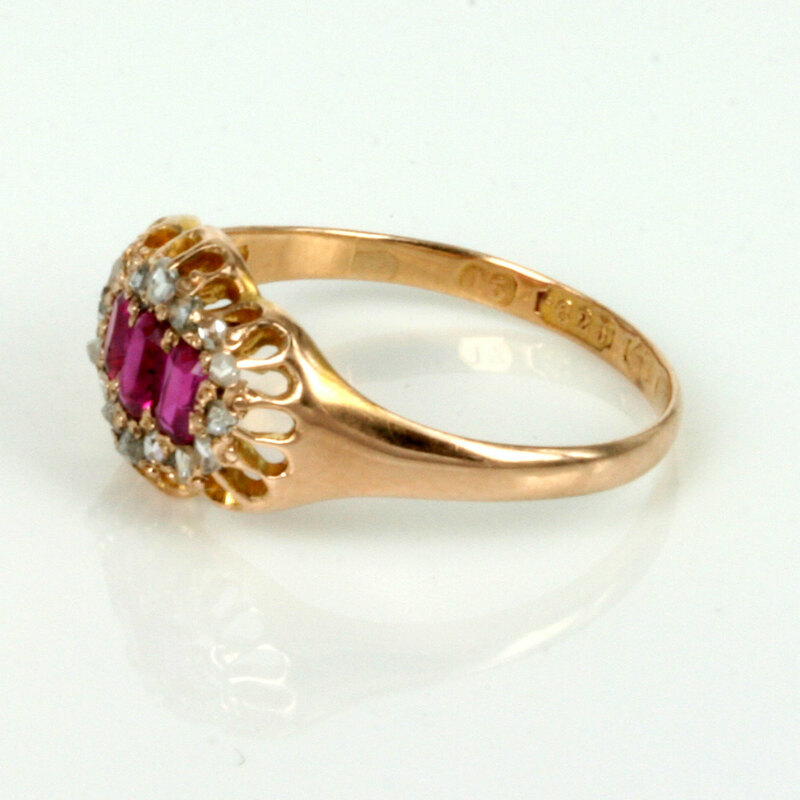 Here is a very wonderful antique ruby and diamond ring hand made in 18ct yellow gold and made in Birmingham 1870. Set with three natural rubies and surrounded by 16 wonderful rose cut diamonds, the ring measures 9mm wide at its widest and sits so well on the finger and looks so attractive. The way the diamonds surround the 3 rubies is just delightful and will always be admired every time that it is worn.